I’ll admit it: My expectations were too high for this finale. This wasn’t a conscious decision on my part. I haven’t spent the past few weeks reassuring myself that the last episode of the second season would somehow solve all the problems the show has been struggling with for so long. And yet, I believe part of me was hoping for that anyway. It seemed reasonable to believe that the finale would finally get everyone off the plotsink of Hershel’s farm, and with Shane and Dale gone, The Walking Dead was thinning the herd. Character deaths aren’t a foolproof solution, but they at least allow for shifting dynamics in a group, a heightened sense of danger for everyone who’s still left alive (for now, mwa-ha-ha), and, with fewer people to keep track of, we might finally have some time to get to know the survivors. These 13 episodes have been at best flawed, at worst outright lousy, but the progression has been toward improvement. I’m willing to keep faith with a series if the potential is there, but only if that series starts taking measures to clean up its act. Deep down, I was hoping that the season finale might do all of this and more. Maybe we wouldn’t just have an hour of television that I graded on a curve. Maybe we’d get an hour that lived up to that pilot and to all the isolated moments of greatness we’ve seen since then. Did we? Sort of. The reason I mention my expectations at the start of this review is that I found this episode frustrating at times, and the more I think about that frustration, the more I wonder if “Beside The Dying Fire” is suffering from my own unconsciously high standards. Because it does accomplish much of what I was hoping for. We’re finally off Hershel’s farm, in about the most definitive way imaginable: The barn has been burned, and the house itself is overrun by a herd of “walkers.” We lost a few cast members in the process, but no one major: Jimmy and Patricia, the last of Hershel’s “I know he had more family than Maggie and Beth, but what were their names again?” brood. (Maggie and Beth are fine, though.) Andrea gets separated from the group and assumed dead, although that’s not quite true. The Fall of the Farm sequence takes up roughly 20 minutes of the episode, and it works well throughout, balancing moments of suspense (like the shot of zombies coming up behind first Andrea, and then Hershel), and utter chaos (like the destruction of the barn). Everyone’s good intentions fell apart. Within minutes, the “plan,” which was about as stupid and ill-advised as you’d expect, collapsed, and the fellowship was broken as various cars fled in various directions. All of this was good. Then people started talking to each other, and it became less good. Now that Hershel’s farm was out of the picture, I was suddenly forced to come to terms with the idea that maybe what was bothering me wasn’t the farm; maybe it was the characters themselves. Because boy howdy, these people remain as generally idiotic and unlikable as ever. Meeting at the unofficial rendezvous (back on the highway, where they’d left some supplies for Sophia in a car), Carl sees his mother isn’t there and instantly demands they go back to find her. Instead of reassuring his son with “We should wait a few minutes, kid; nobody synchronized their watch,” Rick can barely speak. Hershel talks about how Rick’s top priority is to his son; meanwhile back in all the other cars, everyone’s making their own arguments. Beyond the fact that Glenn finally tells Maggie he loves her (whew! ), these scenes have little point to them. They exist because a writer thought, “Well, what would someone do in this situation?” That's not an unreasonable question to ask, but it represents the start of good drama, not the end of it. I do not have any doubt in my mind that Lori would be worried about her son and husband, and that T-Dog would rather get out of Dodge than risk his neck for these morons, but we already know they aren’t going to go off on their own. Andrea’s absence established something: It was suspenseful, and it also introduced us to a character who will be important next year. (And man, was it good to see this person.) But more shrill arguments aren’t entertaining, and they don’t provide us with any new information or compelling drama. We’ve done shrill arguments before. We don’t need to see every damn one of them. But this might just be a factor of my cursed expectations, because, hey, it’s not like any of this is new for the show. To give the benefit of the doubt, maybe it's intentional, setting up some irony in that Lori is desperate to get back to Rick, but Rick isn’t quite the fun guy to hang out with anymore. In fact, Rick is maybe a little crazy. At various times in “Beside The Dying Fire,” I struggled with my ongoing dislike and/or apathy to most of the ensemble. Rick tells everyone that they’re all infected, and that when they die, they’ll turn into a zombie. It’s a rough moment, as it both undermines Rick’s status as nominal leader, and also shakes the idea of what it means to be alive in this new world. But as it plays, the power is undercut by Carol’s sudden need to be offended by everything. As soon as she gets upset, I realize once again that I don’t have any idea who she is, and I don’t know how this fits in with everything that’s come before. I could do a bit for you here about how the loss of Sophia has hardened Carol, made her more calcified in her beliefs and less able to roll with the punches, but I have no idea if that’s really true. You can’t have effective character drama when you have no characters. There’s too much vagueness here, too much inconsistency; it’s as if we’re supposed to find power in situations simply because of the nature of the situation, and not because of the people trapped in it. That only works for so long. Yet there’s something in this episode that made it work overall, beyond just the well-choreographed carnage, and the more I go over it in my mind, the more I appreciate it. (Note: I usually have a day or two to mull episodes over between watching and review. Not tonight.) Rick—upstanding, law-abiding, square-jawed Rick—has apparently gone around the bend. He tries to get everyone excited about being reunited, and when that doesn’t work, when problems start cropping up again, he gets meaner. He tells everyone what Jenner told him way back at the C.D.C. at the end of the first season, about how they’re all infected, and then he tells Lori how he killed Shane. His justification for this is, quite honestly, terrifying. I’m not sure where the show is going with this, as it’s always done its best to make Rick seem like the hero he imagines himself to be, even when he’s unsure or weak. But it’s interesting. It’s not just that Rick doesn’t blame himself for Shane’s death; it’s that he’s arguing he did the right thing, and Shane forced him, so it's not his fault, really, of course it's not. 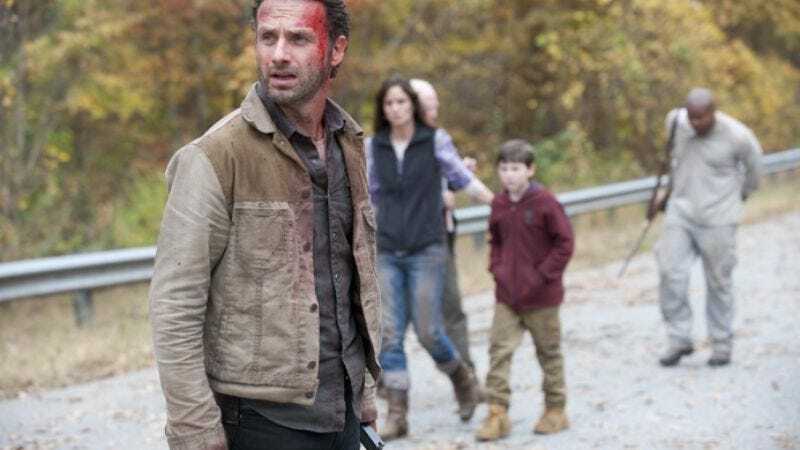 At the end of the episode, with Andrea off on her own and everyone jumping at noises in the woods, Rick is actually angry at them for ever doubting him. He rages that he had to kill his best friend to protect them! He’s given everything, just to keep them safe, and if they want to leave, they can leave, but if they stay, they’re gonna have to take orders from him from now on. “This isn’t a democracy anymore,” he spits, and no one objects, but they all look mighty uncomfortable. This is a definite direction. I’m not sure if the show’s going to make Rick an out-and-out monster, or if this is setting up some sort of redemptive arc for him in season three, but it’s a strong choice. The Walking Dead has tried to make us value this group of people, as if together, they mean more than they do alone. That hasn’t worked, so now it appears we’re going to try trial by fire. I scoffed when Dale and Daryl decided the group was broken, because what could that possibly mean? 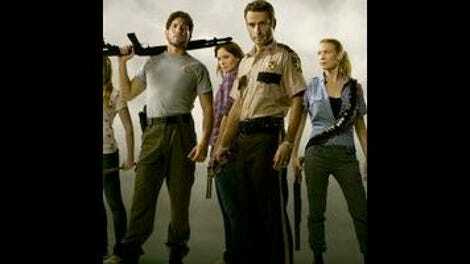 Now, Dale is dead, and Shane is gone, and Rick has finally decided he’s not going to be pushed around anymore. While he’s ranting, the camera pulls up, and we see, across the river, that the survivors may have a new place to take shelter in soon, a place where they can protect themselves and hold off any threat, a place where they can sacrifice their freedom and autonomy in the name of safety and unbreakable walls. A prison. But the funny thing about prisons is, it’s not that hard to get inside, but it’s next to impossible to get back out. So, was there a helicopter earlier in the season, or last season? I think there might have been, but I can’t remember right now. Now Carol is trying to go Lady Macbeth on Daryl. What the hell? Going back to the Sophia car made sense, but it also served as a painfully obvious reminder of just how stagnant this season really was.